Owing to our team of experts, we are manufacturing, exporting and supplying an assorted range of RO Systems. In order to manufacture these systems as per the application requirements of clients, our professionals incorporate all their knowledge and experience in the manufacturing process. Basically our offered systems are based on reverse osmosis principle and are generally used for the packing of drinking and mineral water by removing impurities from it. We are counted amongst the market leaders for manufacturing and supplying of the finest Industrial RO System . Thus, we utilize the finest raw materials and advanced machinery, in accordance with the industry set norms, in the manufacturing process. Owing to this, the product’s functionality, functional life, sturdiness and resistance to corrosion are quite high. Backed by our rich domain expertise, we are engaged in offering Domestic RO System to the clients. Our offered system is manufactured using utmost quality materials and advanced cutting-edge technology to meet the highest industry standards. Moreover, it is extensively used in schools, colleges, hospitals, hotels, factories and commercial establishments. 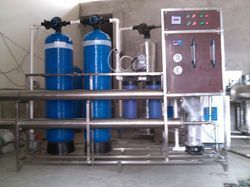 We are a foremost manufacturer engaged in offering Natural RO Systems to the clients. While manufacturing, we use only first grade raw materials that are sourced from reliable vendors of the industry. Clients can easily avail this system in a wide variety of specifications and efficiently eliminate water contaminants to make it fit for drinking purposes. 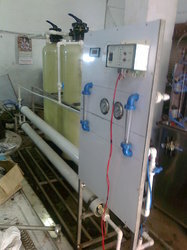 We are a well-known manufacturer engaged in offering RO Water Treatment Plants to our clients. Our offered plants are manufactured by employing most advanced technology. These plants are highly acclaimed by various industry clients in the market owing to their superior performance, hassle free maintenance and easy installation. We are among the distinguished names in the industry for manufacturing and supplying Water Treatment RO System to our revered patrons. The offered plants are effective in treating mineral water and make it suitable for consumption. This plant is exceptional in terms of tensile strength, non-corrosive and easy to operate. It offers hassle-free operations and has earned us a reputed clientele. Looking for RO Systems ?